Lead Time: 3-4weeks after receiving the deposit. Jungle combo inflatable is a multiplay play structure for kids. As a comprehensive company, Cheer Amusement can make both the inflatables and the softplay toys in high quality and attractive apperance. 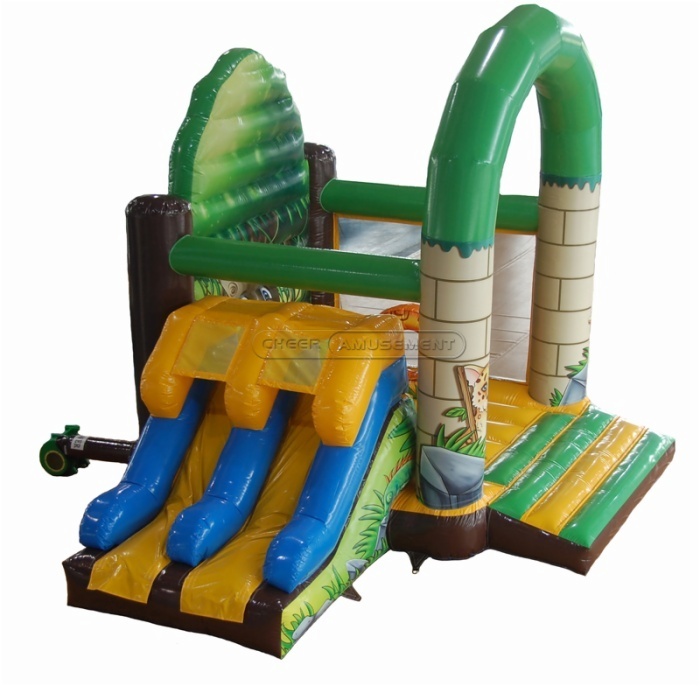 Because of the combination both for the inflatables and the soft play parts, kids can play safely inside. There are 2 slide lanes and can satisefy 2 kids to play at a time. You don’t have to go to the jungle to enjoy the mystery. Apart from 2 parts, it can satisfy kids both play inside and outside separtely.